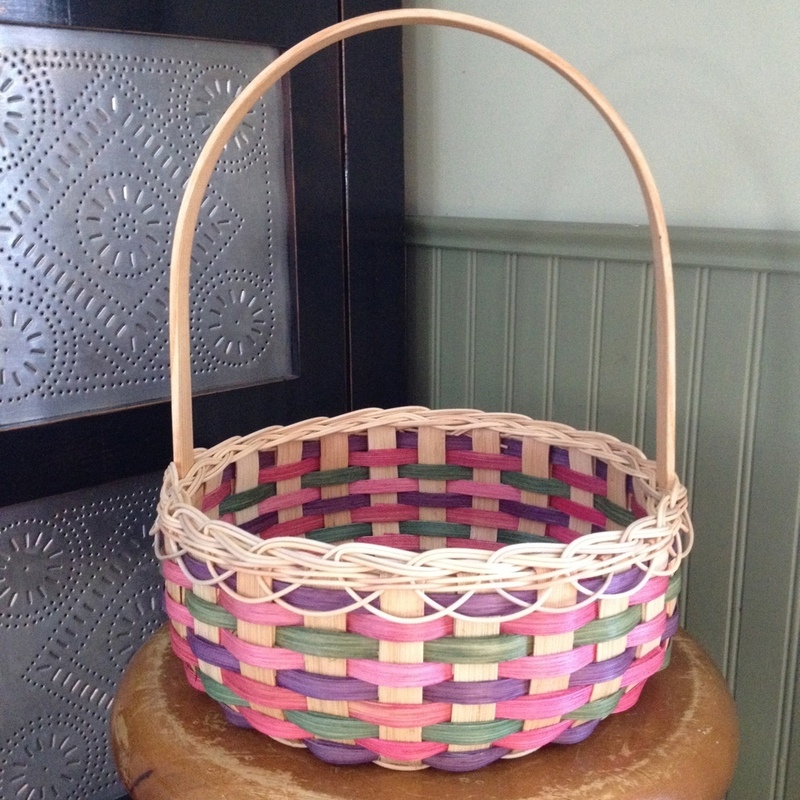 What better way to keep track of this winter’s knitting projects than in a handwoven Yarn Basket. 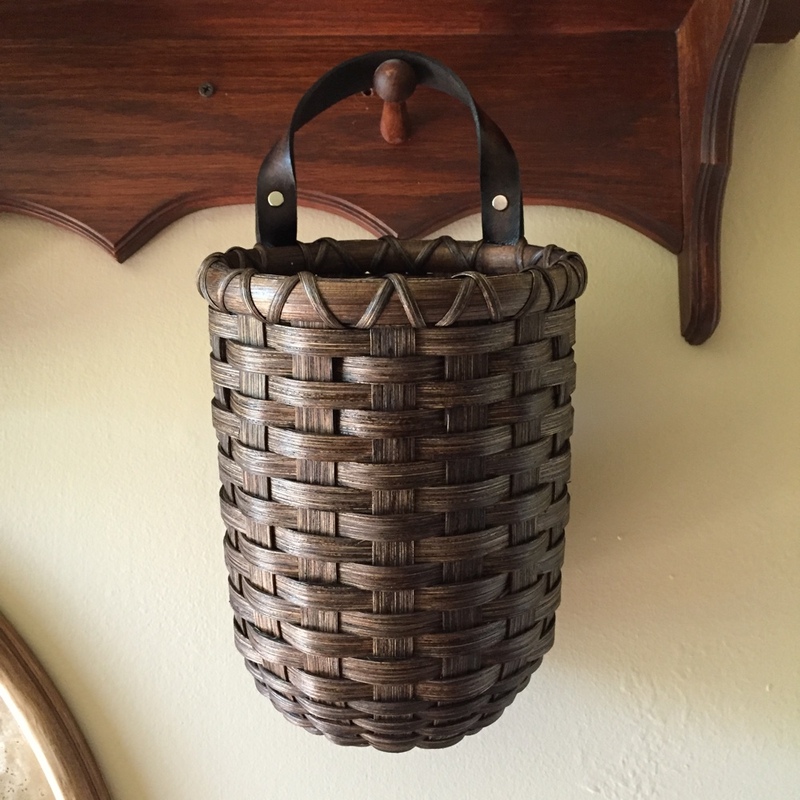 The base measures 5 1/2” x 10 1/2” with 6” sides that flare to a 10” x 15” oval … just the right size to store crafts close by your favorite easy chair. 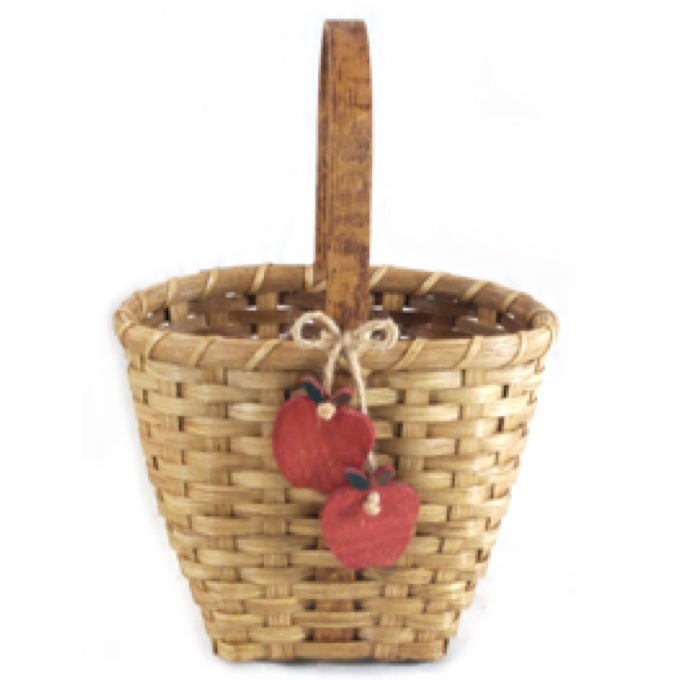 The Snack Basket was created with an open bag of potato chips or cheese puffs in mind. 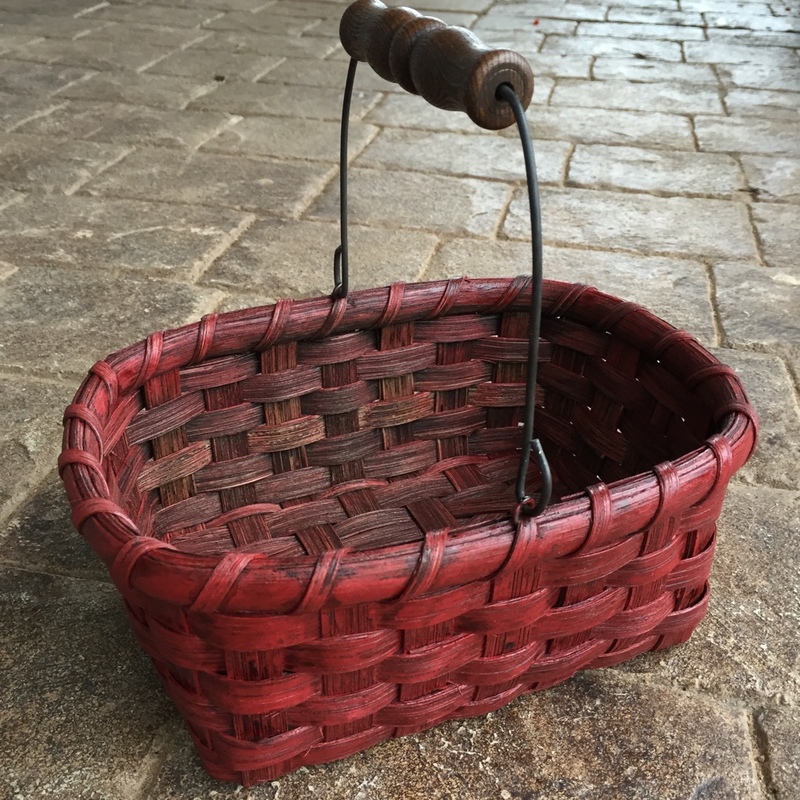 It’s just the right size to hold your favorite evening snack, and the wire and wood bale handle swings out of the way so as not to interfere with your munching and crunching! 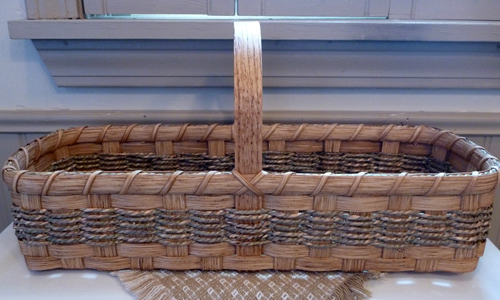 What better way to enjoy the August summer sunshine than with a picnic spread for family and friends. 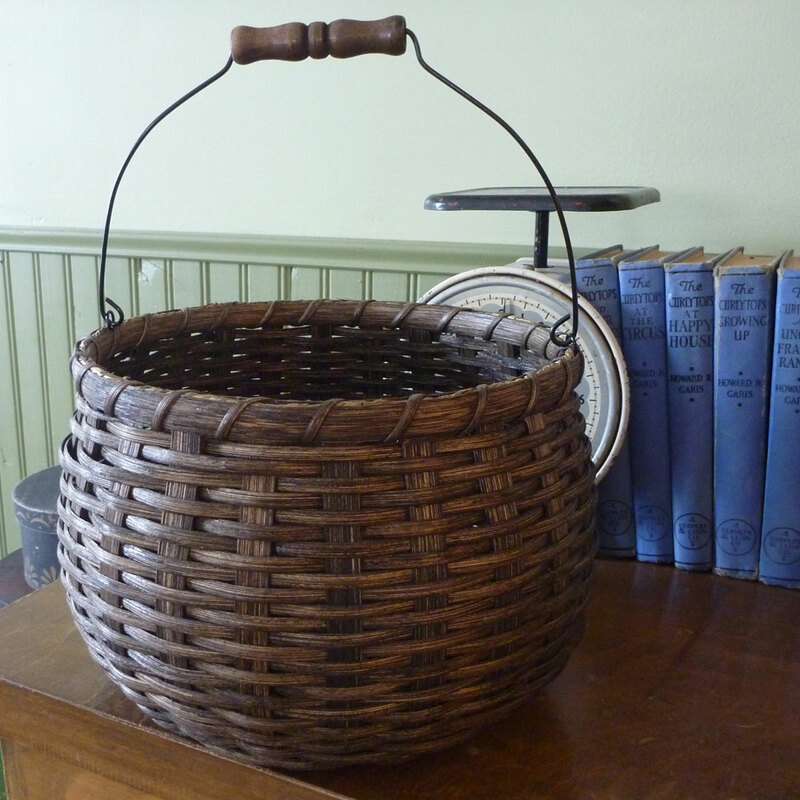 Our Twin-Handled Market Basket is perfectly sized to hold all the necessary fixings for a complete meal for six. 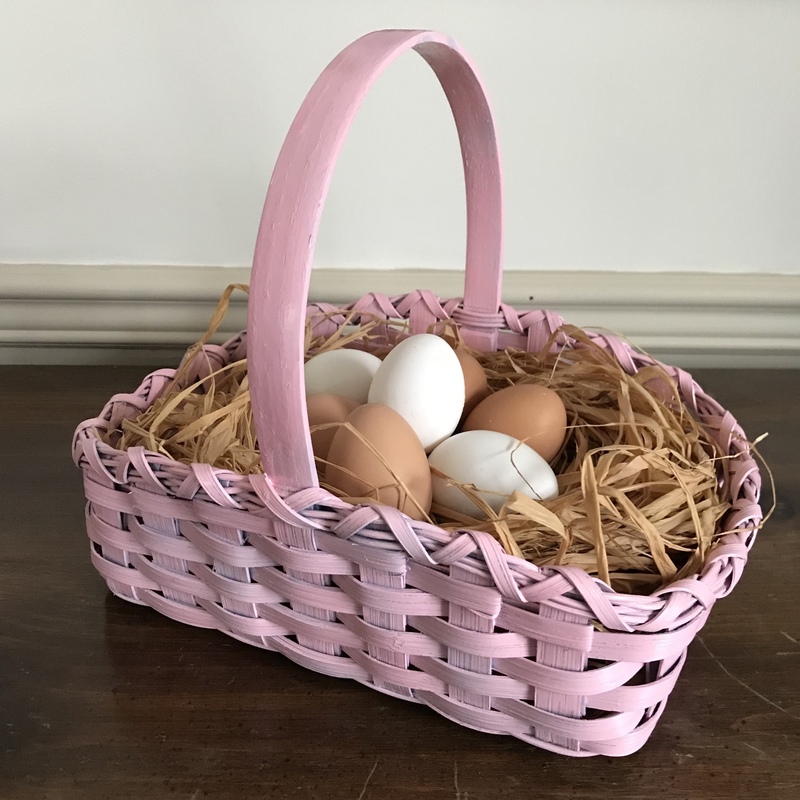 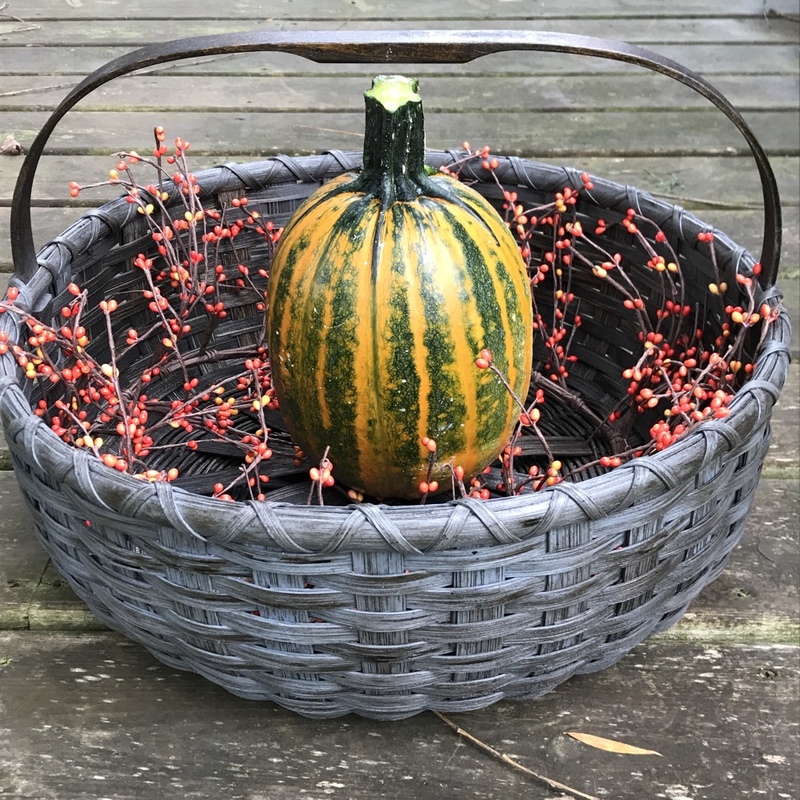 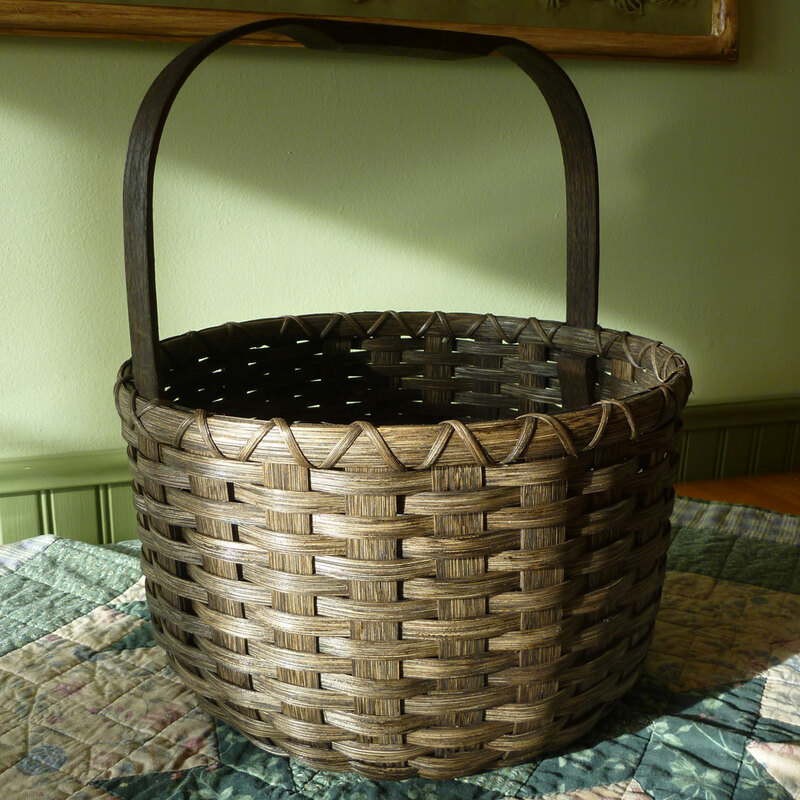 Perfect for hats & mittens, craft projects, books & magazines, or small loads of laundry, the Oval Storage Basket is the ticket. 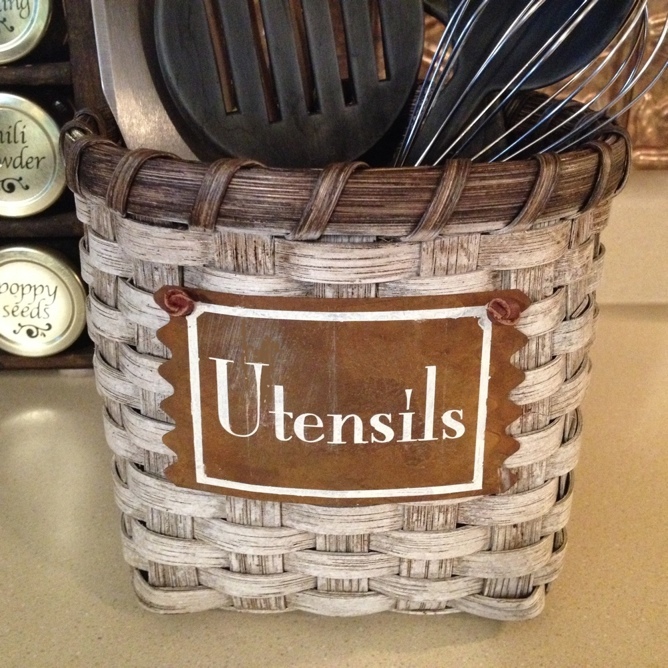 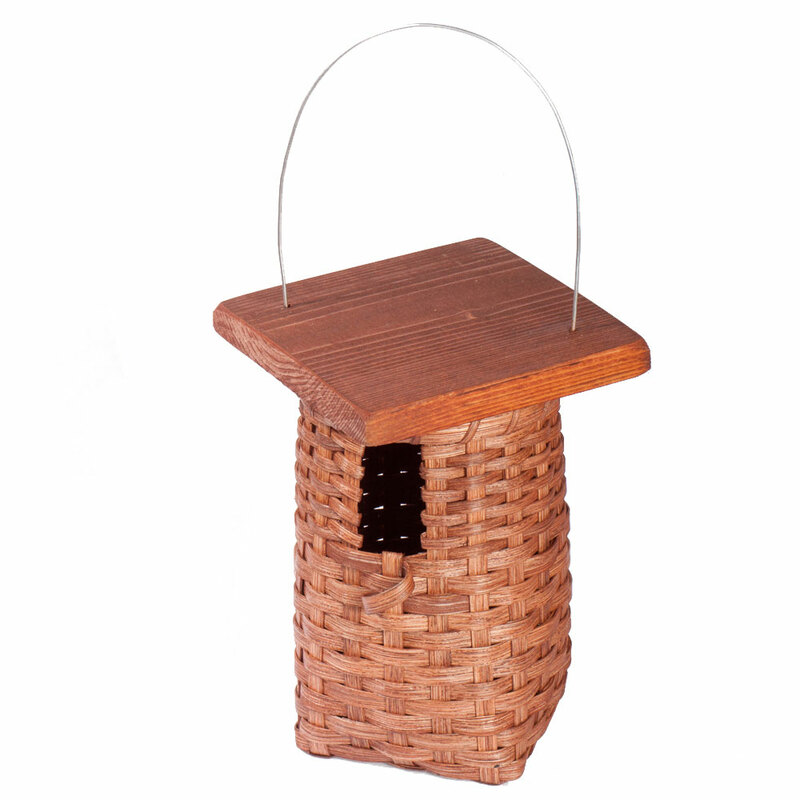 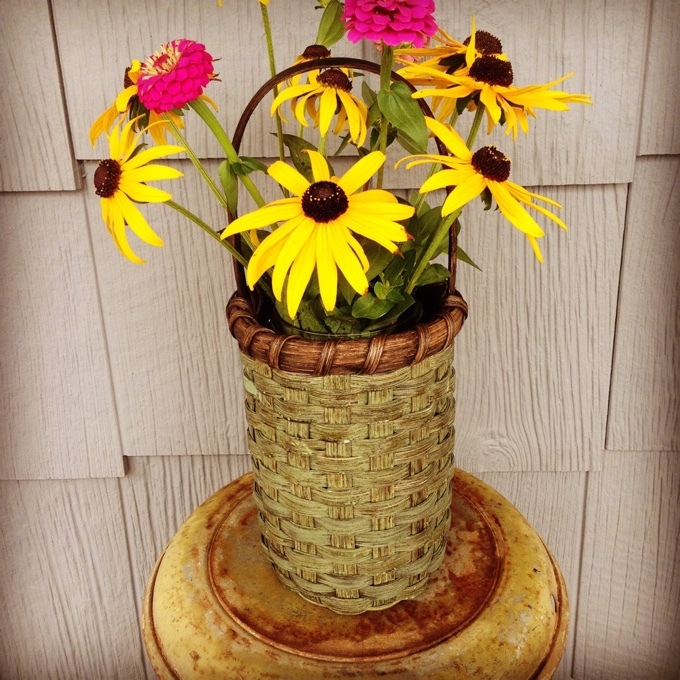 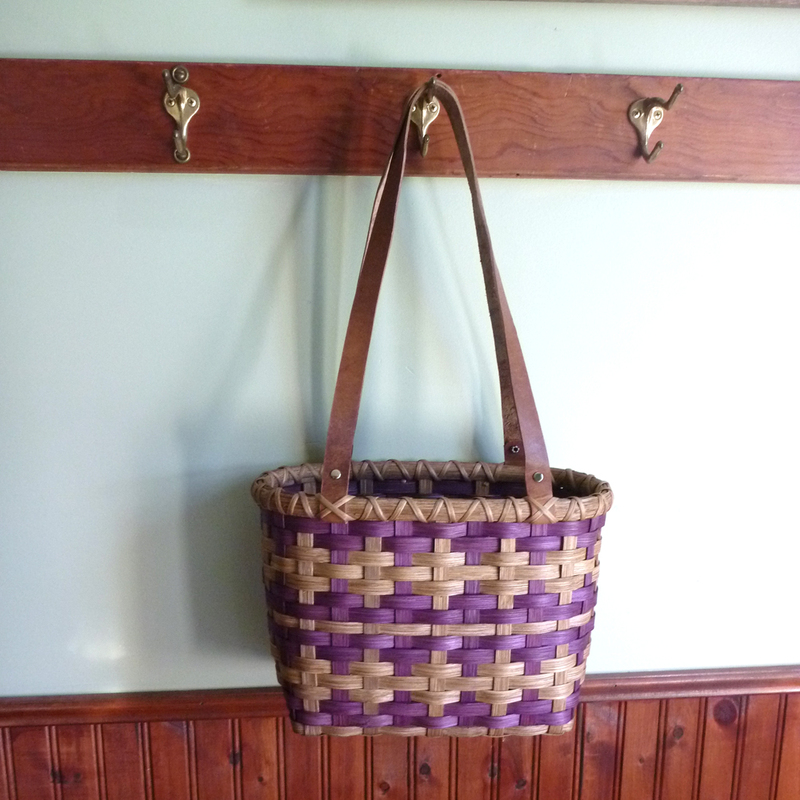 Measuring 10” x 16” filled base with 8” sides, it is solidly woven, sturdy, and a great way to store just about anything! 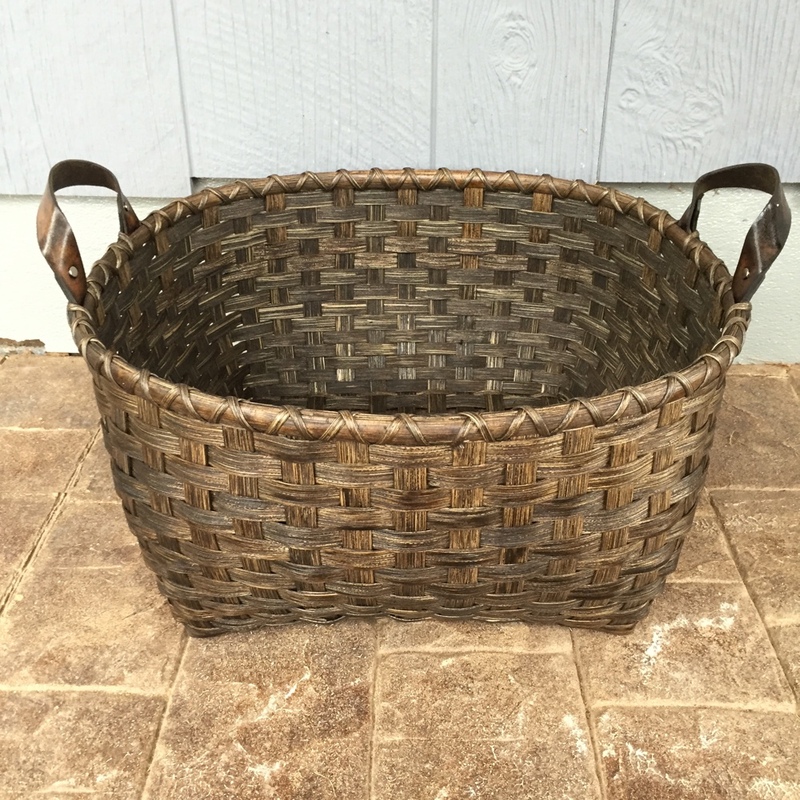 Perfectly sized for sitting on the back of the toilet, the Toiletries Basket will hold all of those bottles of lotion, powder & hair spray, along with rolled hand towels or washcloths … and the basket will look nice while doing so! 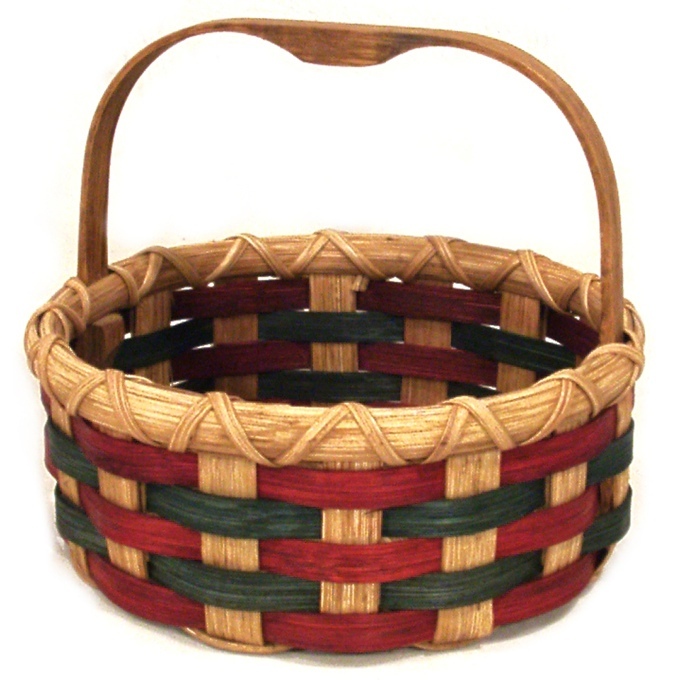 Weave your own Toiletries Basket from this link. 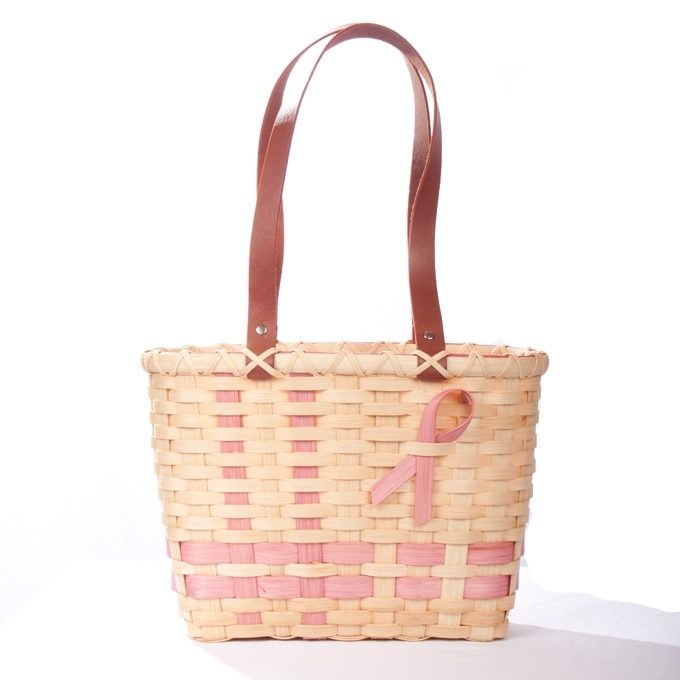 We all need to cut back on the number of plastic bags we get from the super market. 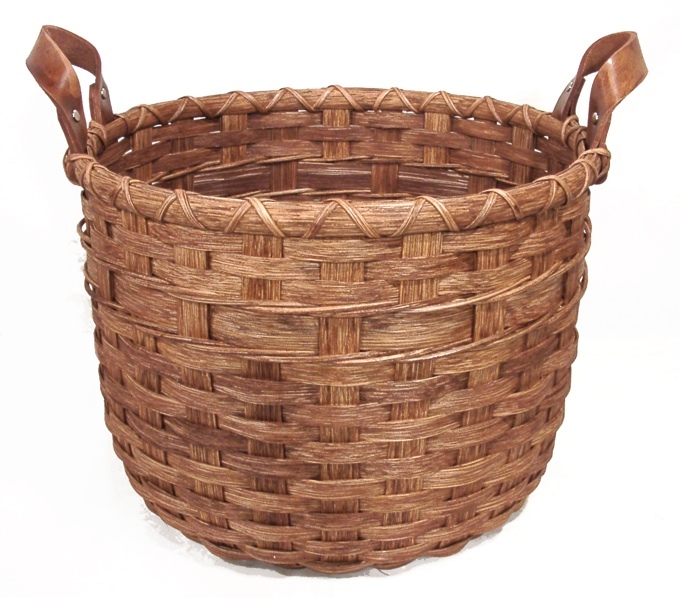 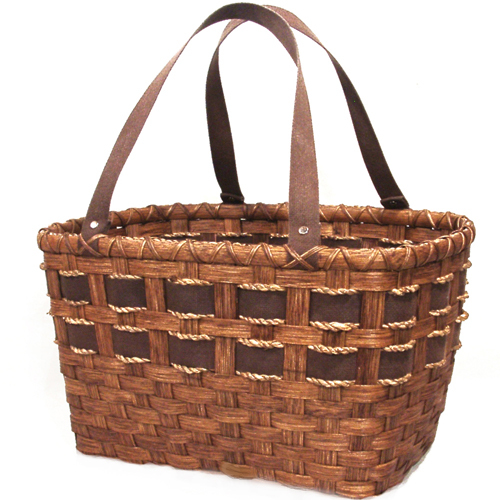 Our large sturdy Grocery Tote Basket is the perfect solution ~ it’s the fashionable way to transport groceries. 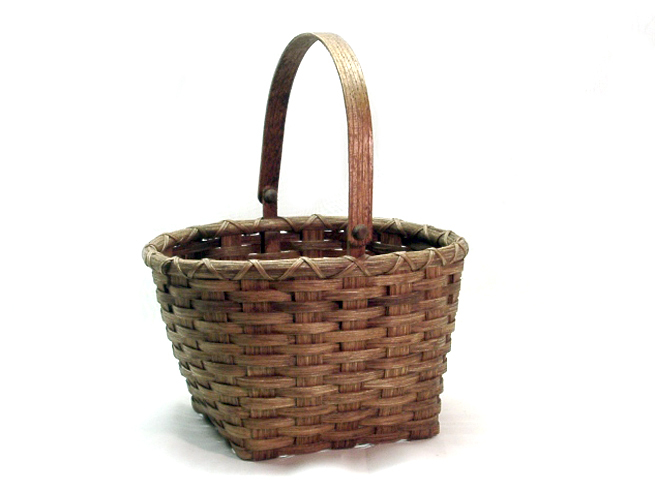 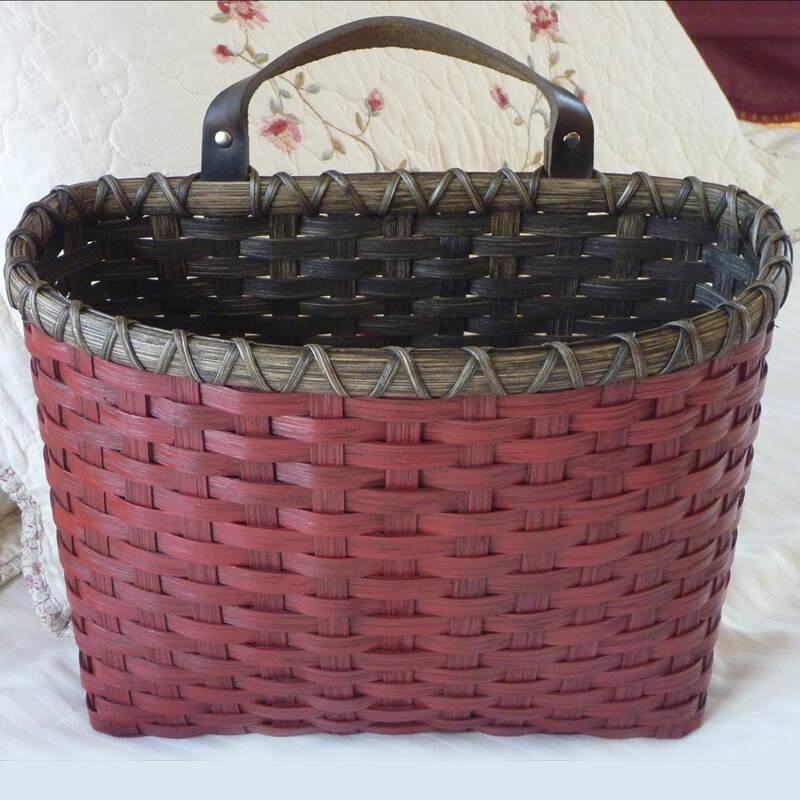 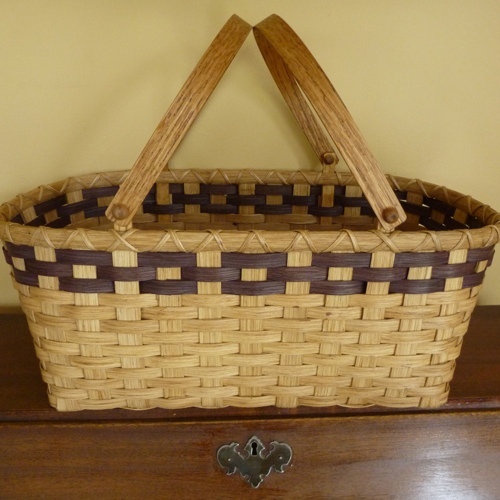 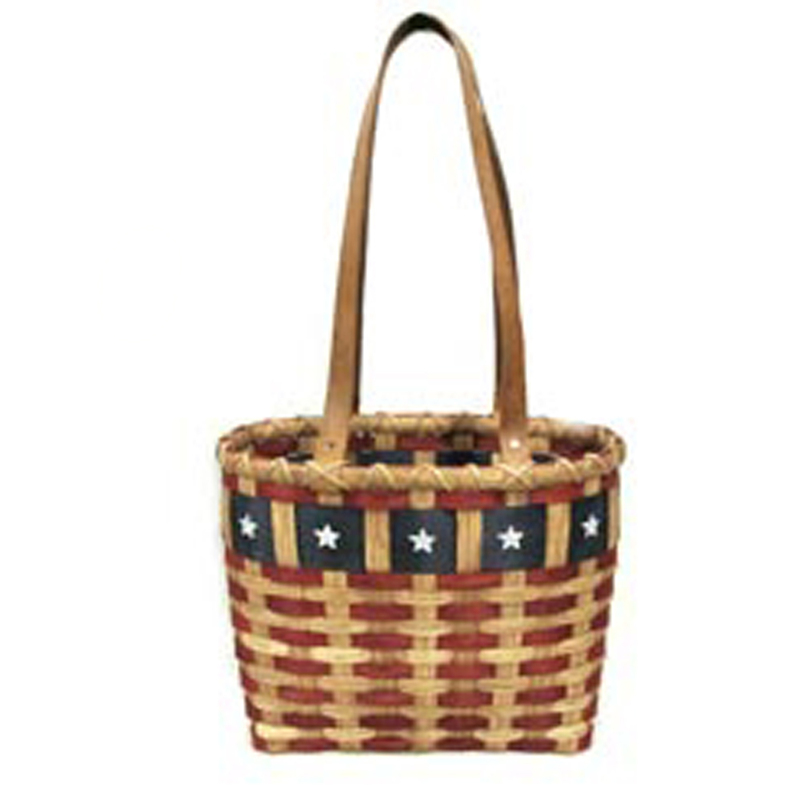 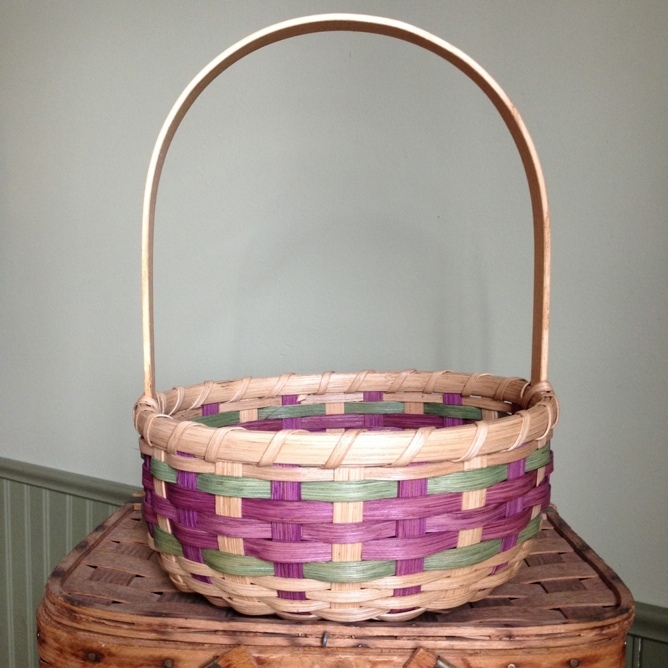 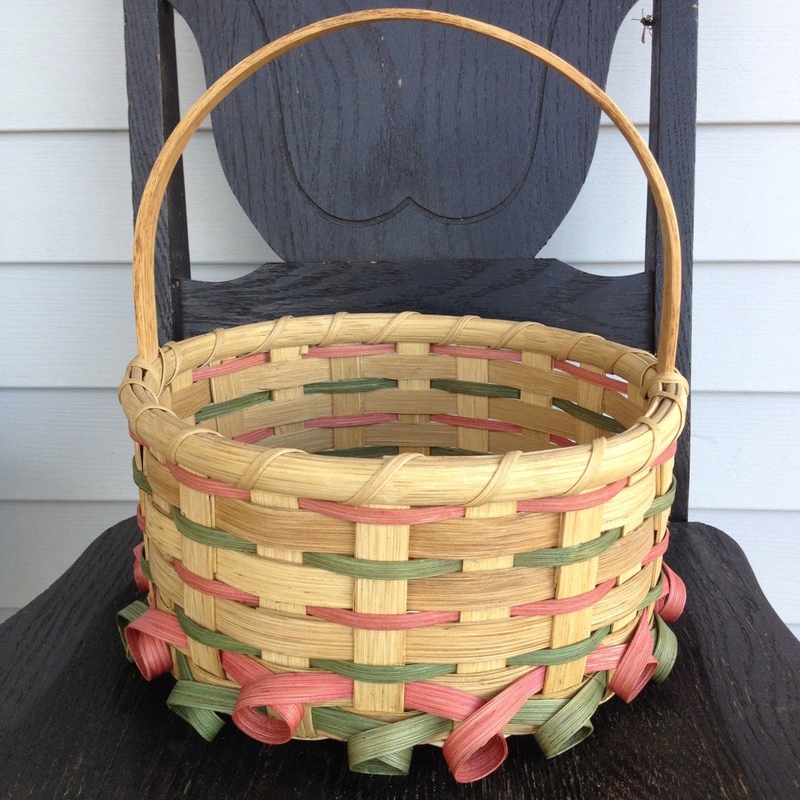 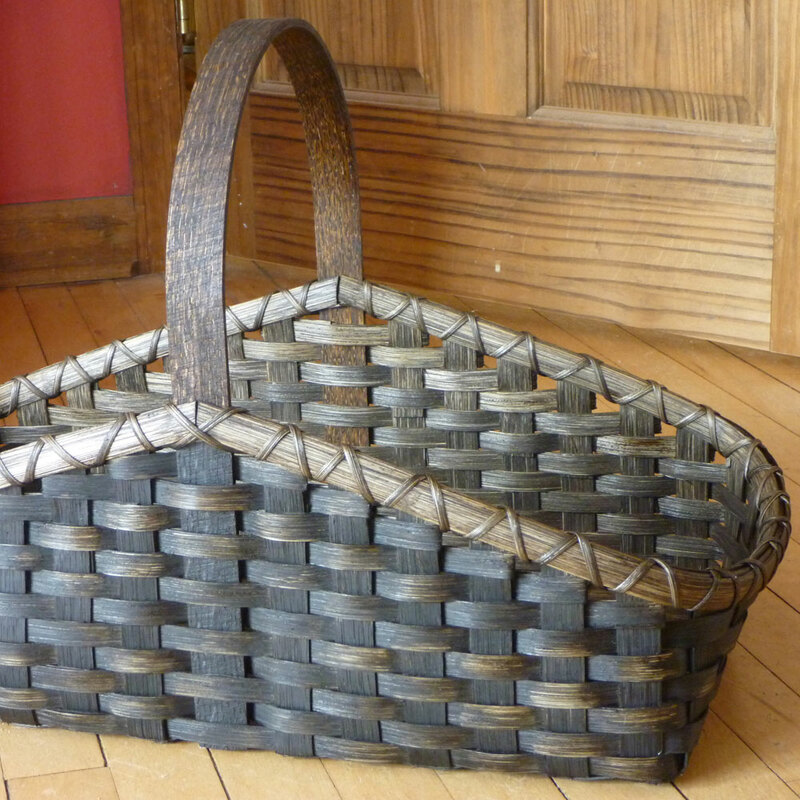 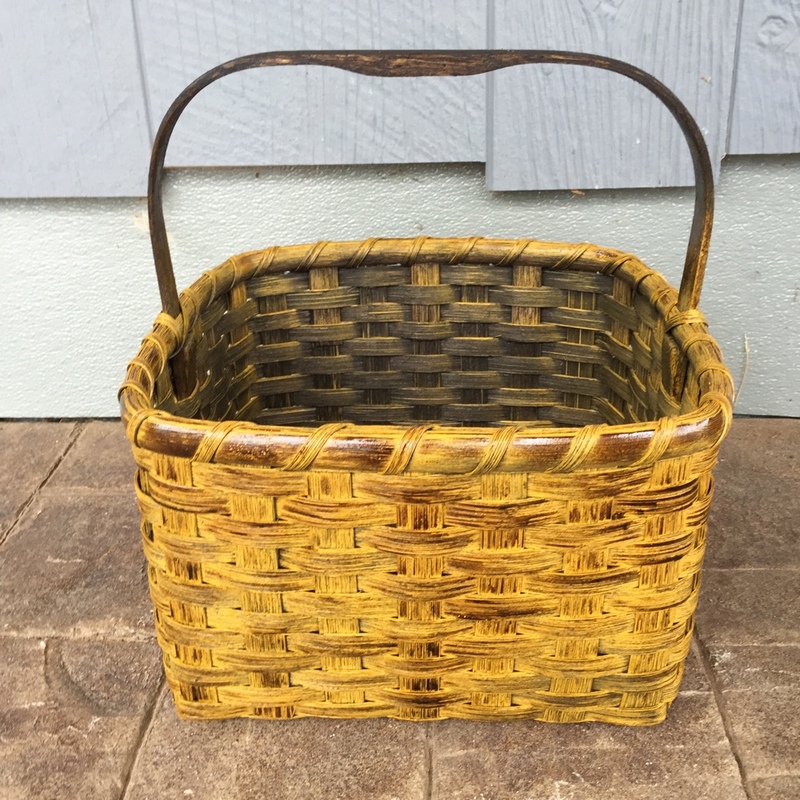 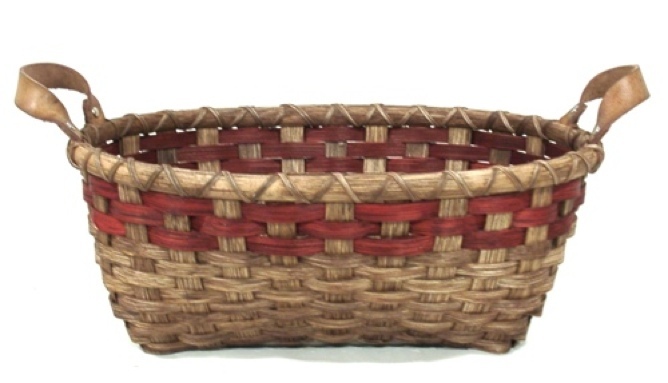 Weave your own Grocery Tote Basket from this link. 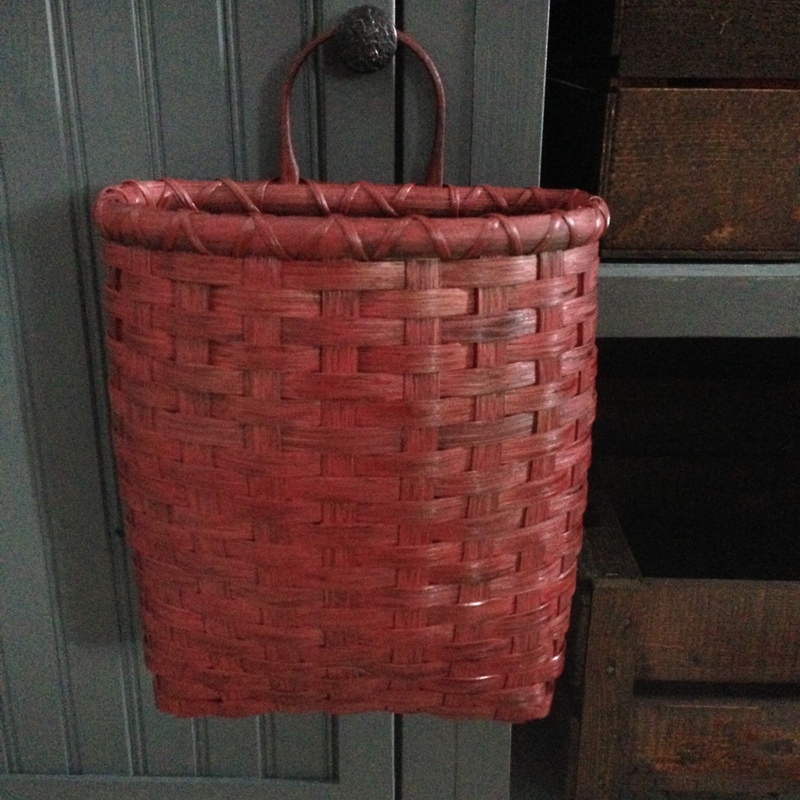 Many people have asked ~ so here it is, the Bottle Tote Basket. 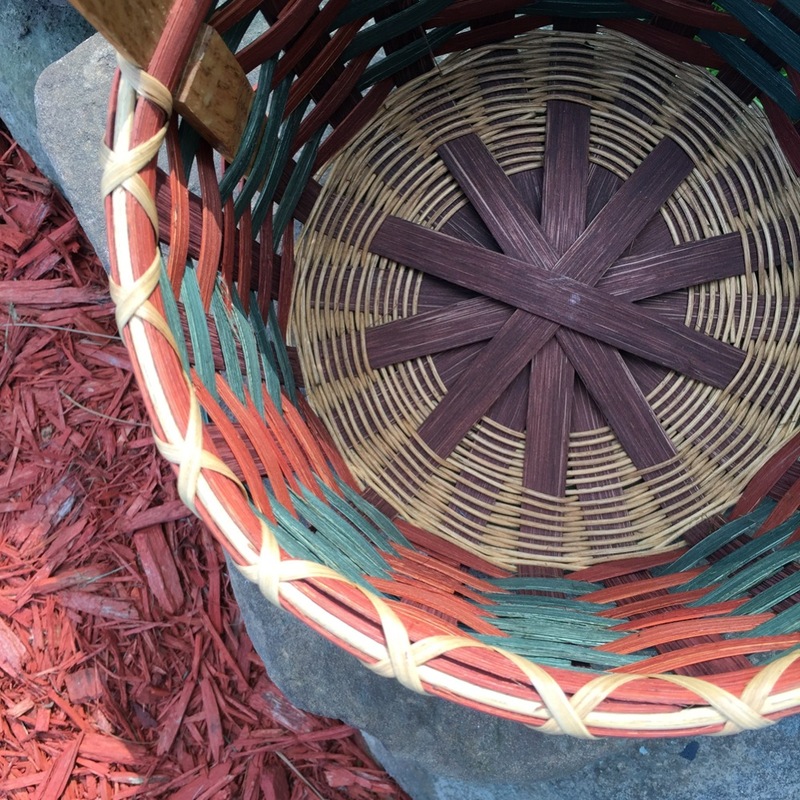 The inside of this basket has a “divider” woven up the center to separate two bottles. 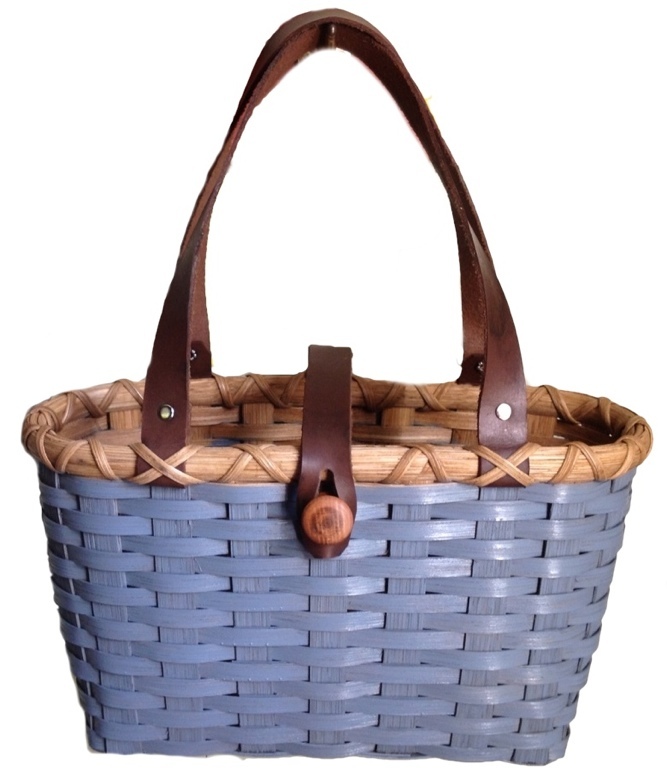 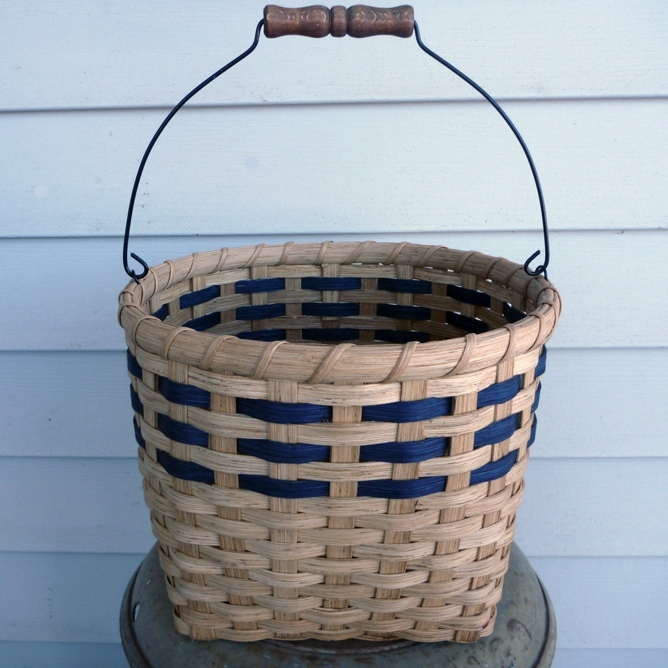 The Bottle Tote Basket ~ every picnic or dinner party could use one! 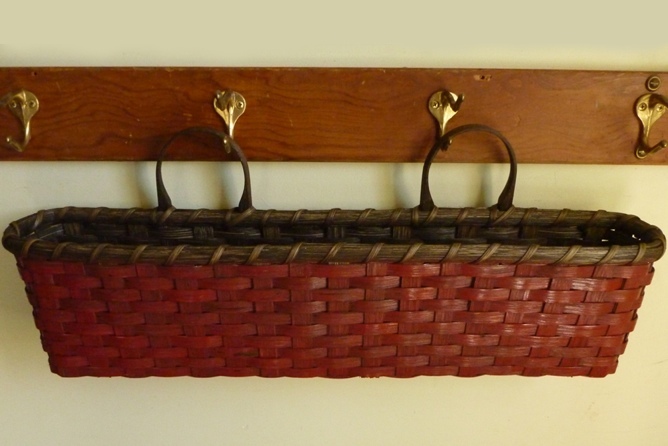 Weave your own Bottle Tote Basket from this link.